Growing up, coming to terms with, and living through the complications of diabetes. 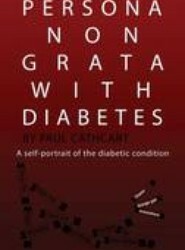 "An understanding of diabetic emotion over life defining moments. Bridging the gap between professional understanding and who we are." An understanding of diabetic emotion over life defining moments. Bridging the gap between professional understanding and who we are.